If you are regular blog visitor, please forgive my absence. 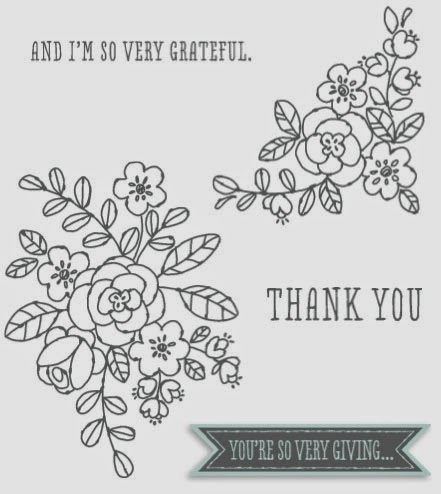 If you are new to my blog, welcome, I'm running a little bit behind! For those of you who may not know, I am part of an amazing, talented group of women on a challenge blog called Just Add Ink. I love being part of the Design Team and also love the latest challenge - Just Add Layers. I am a layers girl and I had fun getting back into the swing of things with this card. 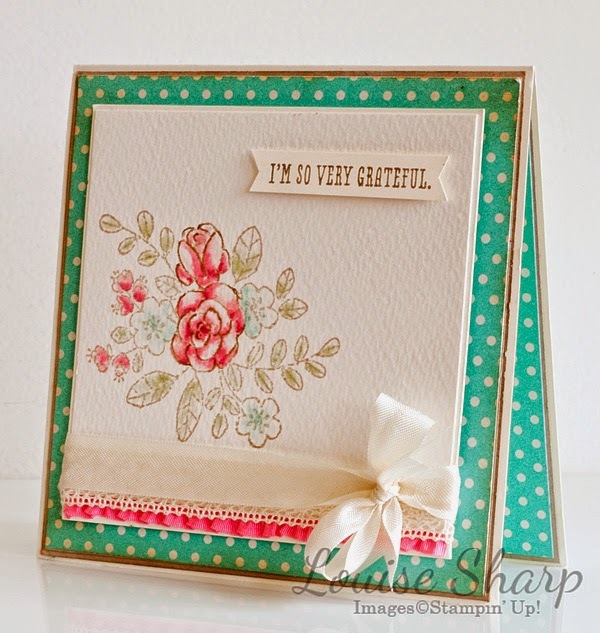 I simply love this (not so) new stamp set on page 32 of the Occasionals Catalogue, So Very Grateful. I have a vintage tea cup with a similar pattern on it. Colour Combination: Very Vanilla, Coastal Cabana, Strawberry Slush, Pistachio Pudding. Louise you have made this watercolour feature beautiful and it is complimented so well with your lovely layers and choice of DSP. A definite Louise feel to this beautiful card. Love the colours you've used and your colouring is so pretty. Absolutely beautiful card Louise. Just love love love your chosen colours and the special ribbon treatment.